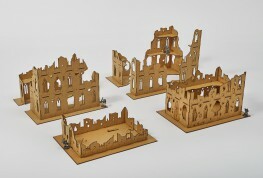 Small Set - 4 pieces - of destroyed and ruined Gothic buildings. 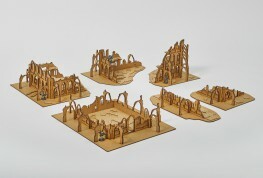 Dedicated to wargaming in 28-32 mm (1:56) scale and games like Warhammer 40 000 or Bolt Action. Model allows to set figures in the middle of the building.